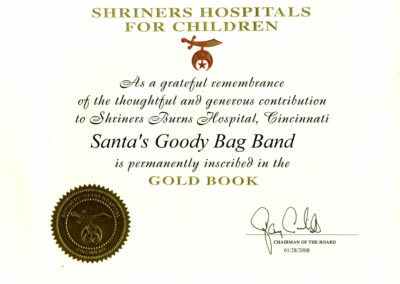 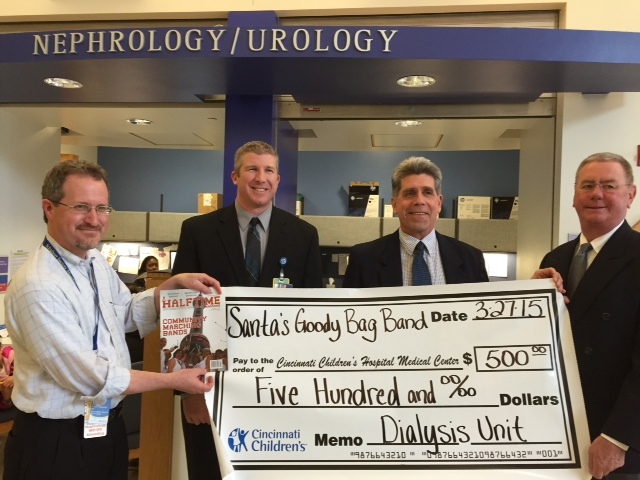 The mission of Santa’s Goody Bag Band is to “Bring the music of Christmas to Cincinnati all year long.” The band’s main fundraiser is their annual pub tour, usually the Saturday before Christmas, with stops at The Silver Spring House, Kirby’s, Paxton’s, Tano’s, Buck’s Tavern and others. 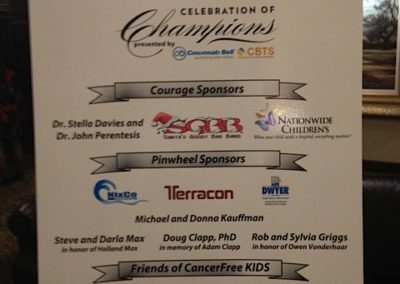 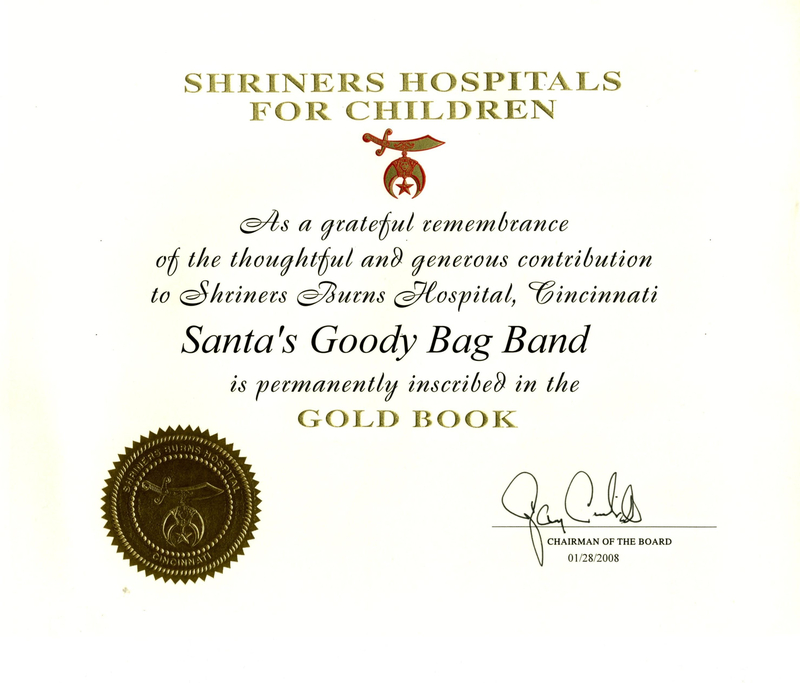 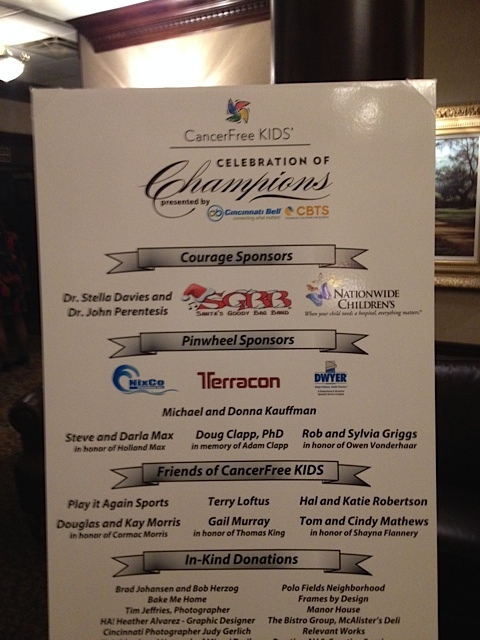 On the tour the band raises money for the Shriners Hospital and other charities/organizations which serve children in the Greater Cincinnati area, such as CancerFree KIDS, Pressley Ridge, and the Division of Developmental and Behavioral Pediatrics at Cincinnati Children’s Hospital. 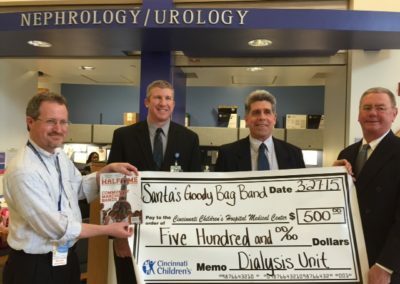 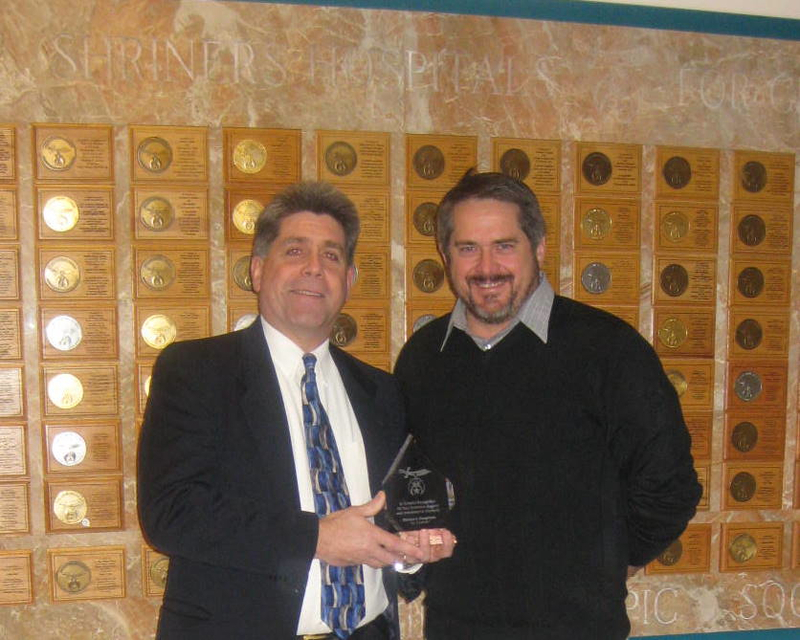 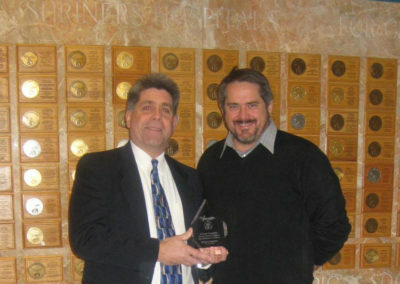 Since 1981, more than $60,000 has been donated to the Shriners Hospital for Children — Cincinnati and over $30,000 has been given to other children’s charities.